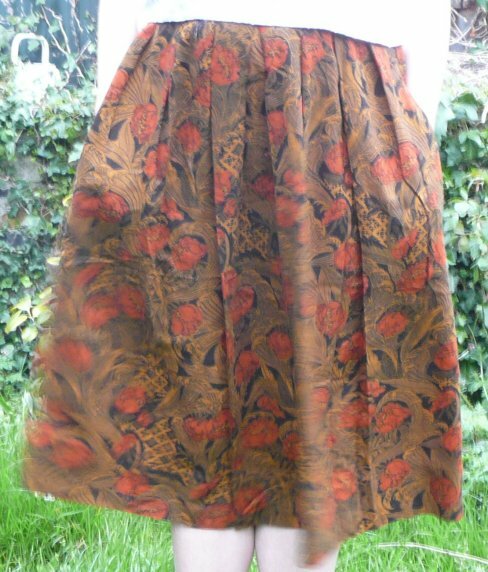 Vintage 1970s half elasticated art nouveau print skirt. 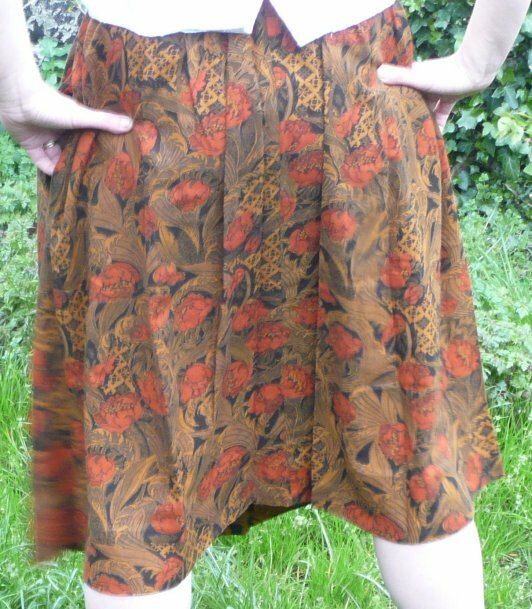 This is a lovely everyday skirt for summer or winter, in rich autumnn shades of brown, gold and red. 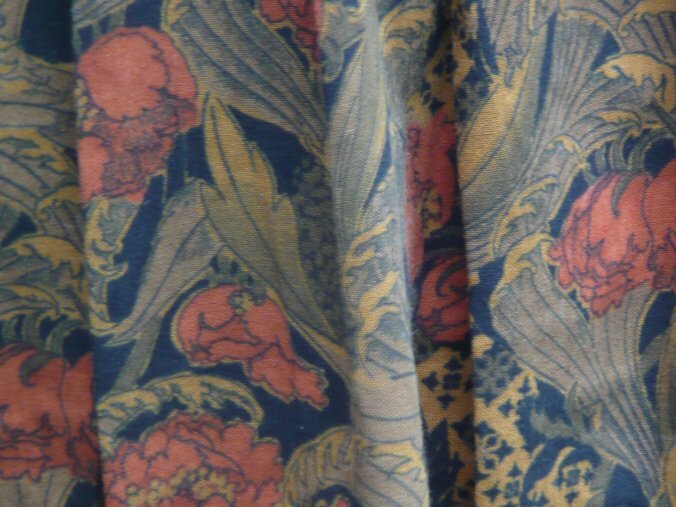 I think the print may be by William Morris - it's certainly in his style - with flowers and leaves against a background of trellis. The style is typical of the later sixties/early seventies, half elaticated with two-inch pleats at the front and pockets set into the side seams. 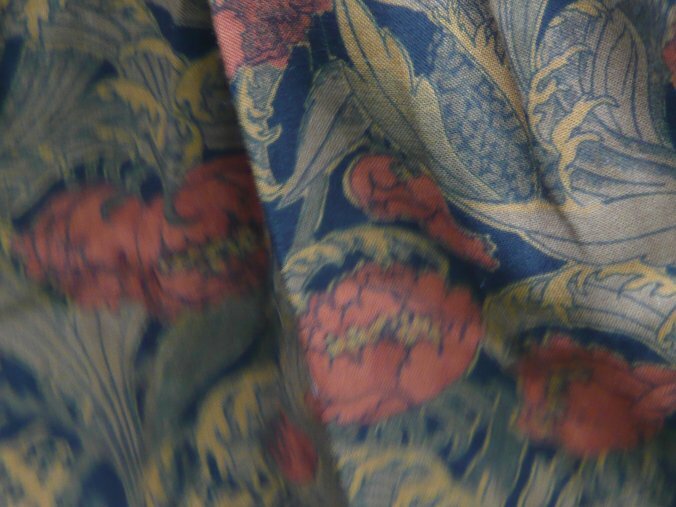 The fabric is a soft cotton (possibly a cotton mix) and there are no labels so it was probably hand made. I'm not sure what these flowers are - I think poppies, but that may be because of the colour! (Pictures of the skirt show the colours better.) It's in excellent vintage condition, with many years of wear left in it and no apparent faults. 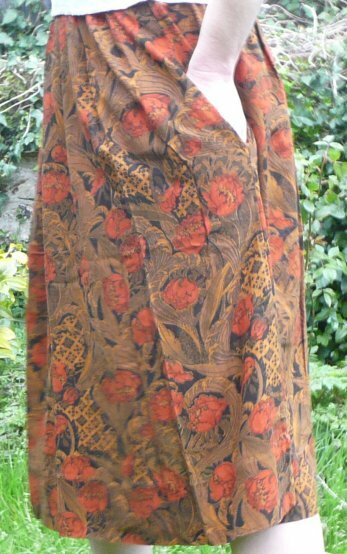 Waist measures approx 30 ins/76 cms unstretched, length from the waistband is 27 ½ ins/68.5 cms, with a good three-inch hem.